Toothbrush disaster! Also, come to my concert on Christmas Eve! I’m here to write about the fact that yesterday 23 people arrived at our house for Christmas. And to herald that occasion, our toilet stopped working. It was a busy morning as we prepared to receive 4,334 house guests, and as you could imagine, things were getting chaotic as we cleaned and got things ready. At one point, in a freaky cosmic mash-up the likes of which makes things like sporks and platypuses and Lady Gaga, Anna was flushing the toilet at the precise moment that Tessa recklessly threw a toothbrush into the sink. What happened next was like slow-motion. The toothbrush ricocheted, and we all watched as it landed in the toilet in the precise moment the water went down, down, down. So, as you can imagine, my first reaction was to panic needlessly and wonder why life had to be so cruel. Then we remembered: Scott is coming. Scott is Lolly’s brother who is currently getting a PhD in engineering because he’s in love with crazy things like transportation and math and “being all boy” and roller coaster construction and building things and stuff. He is The Chosen One when it comes to things like this in my wife’s family, and now, having married me, he is apparently The Chosen One for the Weed clan as well. Well either him, or anyone I hire. Anyway, Scott arrived and got down to business. His first order of business? Removing the toilet from the floor. I didn’t even know this was a thing that could happen. Um, I don’t know about you, but this makes me nervous. Are houses supposed to even be able to do this? Then he fished out the culprit. He reached his hand up into the toilet and said “All right, I got it!” but turns out, it was actual feces. Ooops. I often mistake toothbrushes for feces myself when I’m dismantling homesteads. And then, he found it! Beware little pink penguin toothbrushes. You never know the havoc they can wreak. All in all, we’re just glad that the four million people at this house have our toilet back in order, because that could have been very, very interesting otherwise. A Christmas miracle! And, finally, are you doing anything on Christmas Eve? Perfect! You should come see me play the violin. I would be tickled if you came. And I’d be even more tickled if you introduced yourself. All right folks. It’s time for me to go be with family and such. Oh, yes, and coming soon: our fourth annual electronic holiday card!!! My family has a cabin on Hood Canal. For years (think decades here) they thought the toilet was finicky, when in actuality there was an ashtray shaped like a fish stuck in the bottom (probably the same location as the toothbrush for you). They only found it when switching out the toilet. After that it worked great! I laughed heartily at your post as always, but what I love most is that flier for your violin concert, and I'm wondering why I've never seen anything like it before. I love love love that the Virgin Mary gets to go to sleep. 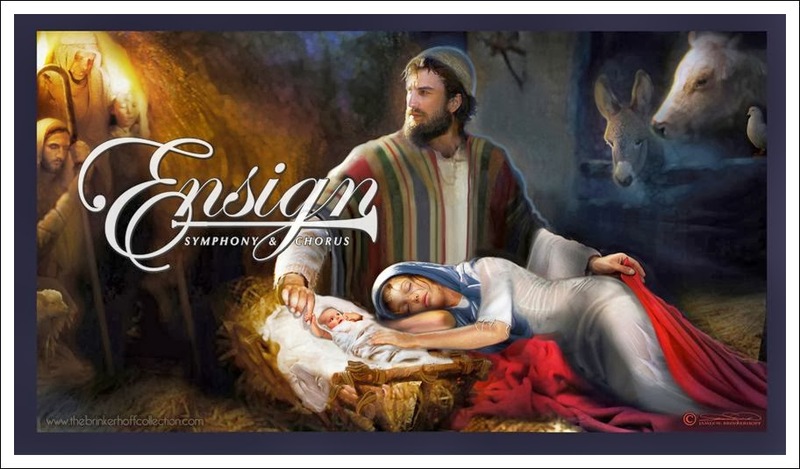 Poor woman's always sitting up by the manger in most paintings, with the artist completely disregarding the fact that she's just given birth for Christ's sake. (See what I just did there? Christ's sake? Get it?) Anyway, I love it. I love the fact that the Virgin Mary, after a job well done, gets to take a nap while Jesus is sleeping, because he's going to be up in another ten minutes to nurse, and mama's gotta get her snooze on while she can. She can always stare beatifically at the baby when the baby's awake. Good job, flier artist! And I just saw that Jesus is awake, how did I miss that?! Okay, well she gets to sleep while Jesus is not crying. It's good. An unelected judge just decided with no legal precedent to overturn part of a state's constitution. It doesn't matter who benefits – that is not a good thing that the federal government can do. But gay people can marry now, so who cares about separation of powers? Totally respect your opinion and your right to share it. However, I was not intending to open this topic up for discussion here, and hope people will respect that. I debated deeply whether to say anything at all, and in the end I decided not saying something was a message in and of itself. A message that would have been disingenuous. I started reading your blog almost a year ago. My husband and I have loved your stories of encouragement about SSA and the occasional humerus stories. Honestly, lately I have been disappointment by your blog. You'll go weeks between posts, you'll start something up like the questions on Friday's and then it always dies within a couple of weeks. You said you disagreed with the church's stance on gay marriage, and deleted the post and never really answered the question what your belief about gay marriage is. I think people like you can do a lot of good, and I feel like you are not sharing your opinion out of fear. Please be "all kinds of real", I miss it. That's really good feedback, Anonymous. I appreciate your candor. I KNOW HIM! he's famous! he made the blog! how awesome. and i love your story. and… i am done now. As much as your toilet fiasco stinks (pun intended), what a blessing that it happened when someone was there and knowledgeable about fixing toilets! Yay for not having to pay to repair a toilet. I envy you, we all need a Scott in the family! As a Scott, I disagree – it depends on the type of Scott! Oh the things kids can do! A plastic sheriffs badge ended up in our toilet. The plumber worked for hours to get it out. It was wedged in the curve. He finally got it, but in the process cracked the toilet (but didn't realize he had). Several years later, we found the leaking water had done damage to our house! Good your BIL was such a handy man. My parent's toilet was "finicky" for years. They didn't know that while I was playing with the paper holder, it ended up in the water, and since the water was yucky, I just flushed it, hoping it would go away. Twenty five years later, the toilet was replaced and it worked great!. I finally came clean and told on myself, it only took 35 years for my confession. See bow lucky you are? Awesome! I'd love to meet you! If there is an intermission, feel free to come up to the stage and chat, or I'll also wait in the lobby after the performance for a while as well. Looking forward to it! BAHAHAHAHAHA!!!!!!!!! This was too funny!! I love that the man of the house didn't know that toilets can be removed! Sorry, it was just so funny! I do feel SO bad for Scott and the feces fiasco! GROSS!!! Happy holiday's y'all!! When we moved into our current apartment, the toilet was acting funny, and (without having to take it apart) Chad discovered there was a floss container stuck in it. He complained to the office, because it was not the only weird thing we found when we moved in, and they insisted it must have been ours. They were unconvinced when he (unfortunately) told them we don't bother with floss often enough for it to be ours. Anyway. Yay! Working toilets! Guests for Christmas! Violins! I'm the worse dyke ever because I wouldn't have been able to fix that either…my Home Depot card should be taken away from this failure in the gay gene! That (almost same thing) happened in our house a few months ago. In our case it was a comb that we all watched the baby put in, and then forgot, and then flushed. My husband spent a Saturday morning doing the same thing your BIL did (we unfortunately didn't take pictures). What I thought was funny, was how cool my girls (ages 5 and 6) thought it was. They had a soccer game that day and it was all they could talk about to their friends– "Guess what happened at our house this morning?!" A few days later my first grader came home from school and said, "the main character in the toilet story was the toilet."